Havas UK has stopped ad spending on Google and YouTube after ads for clients started to appear on “questionable” sites with videos supporting hate speech and terrorism. Affected clients included the likes of Dominos, O2, Royal Mail, BBC, and Hyundai Kia. Changes to the company’s advertising policies were announced after they appeared alongside offensive content, such as videos promoting terrorism or anti-Semitism. Meanwhile, Havas CEO Yannick Bollore (pictured) recently put out a statement on his Twitter feed saying he was looking into the matter. In response to this pull out, Ronan Harris, managing director of Google UK said in a blog post, “We recognise the need to have strict policies that define where Google ads should appear. The intention of these policies is to prohibit ads from appearing on pages or videos with hate speech, gory or offensive content. We are committed to working with publishers, advertisers and agencies to address these issues and earn their trust every day so that they can use our services both successfully and safely. In fact, it is hardly right to think Havas’ clients are the first to be in this tricky situation. In February this year, Jaguar Land Rover stopped its digital ad spend in UK after it was linked to funding a terror organisation without its knowledge and saw its ad on YouTube next to a pro-Isis video. Right next door in Singapore, The National Environment Agency (NEA) was recently named to be one of many brands affected by ad misplacements on controversial sites.This was along with brands such as DBS, Uber, TAFEP, Malaysia Airlines and Hilton were also placed. The rise of problematic programmatic is an issue many media agencies have had to deal with in recent years. Pull the plug on Google and YouTube? We asked several other agencies on whether or not they would also pull the plug on supporting Google and YouTube going forward. In a conversation with A+M, Girish Menon CEO, of GroupM Malaysia said the network will not be cutting off its ties with Google. However, given the PR implications, advertisers and agencies have to be seen to be taking affirmative action. Allow the opening of all platforms to third-party ad verification technology for ad fraud and brand safety. Create and enforce more robust rules and guidelines for content categorisation and curation. De-monetise all content that cannot be guaranteed as brand safe, especially new content. “Our agency planners will present alternative options of video platforms, which permit third party ad verification to be deployed to utilise an additional layer of intelligence to minimise risks on Brand Safety, ad fraud and low viewability for our clients campaigns,” he added. Ramakrishnan, partner at Entropia said the move by Havas was a bold one but questions if it solves the endemic issue at hand. “The questions revolving around ad fraud, viewability and brand safety are very real and it is high time that the advertisers, the media owners and agencies recognise this as critical and start taking actions that matter,” he added. Bala Pomaleh, CEO of IPG Mediabrands Malaysia said that the company is working closely with IPG Mediabrands Worldwide to protect the interest of all clients. Pomelah added that while he believes that these incidences are minimal in Malaysia, he agrees that it is essential that issues such as viewability, brand safety, and fraud are addressed in the market as a serious priority. 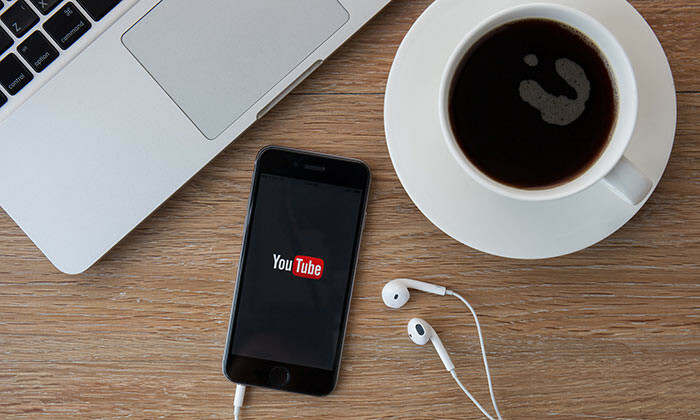 “We apply brand safety 100% of the time across the campaigns executed on YouTube. This includes working closely with Google Malaysia on recommendations for channels to exclude; categories, blacklisting and keyword exclusions and third party ad verification solutions,” he added. “Our teams are, and will continue to be vigilant in monitoring fraud, viewability, and brand safety across the board to help mitigate the risk of these types of incidences. Legoland has appointed mobile taxi booking application company MyTeksi as the themepark’s official taxi provider, effective Octobe..